Georganne Hale, the first woman to hold the position of paddock judge in Maryland, when promoted to the job in May, was soon to make Maryland racing history again. She was set to become the first woman to serve as racing secretary in the state when taking charge of Timonium’s 10-day meet in late August. Assistant to Timonium’s former racing secretary, E.T. McLean, the previous year, Hale was selected when McLean became a steward at Birmingham Turf Club. 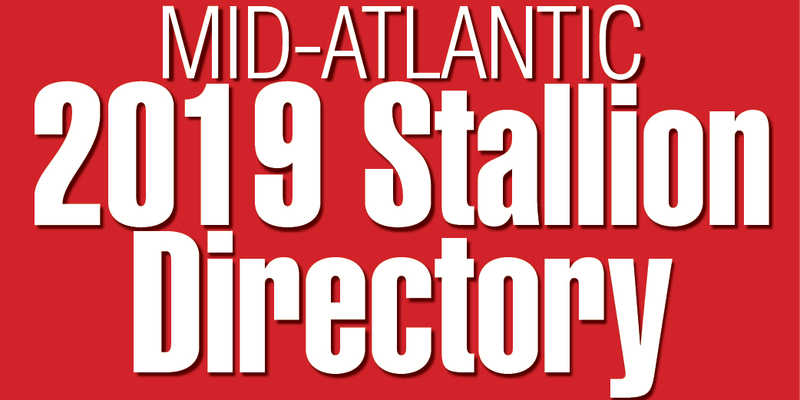 “Georganne was our number one pick for the job,” said Timonium’s general manager Max Mosner. The inaugural running of the West Virginia Breeders Classics was set to take place on Sept. 11 at Charles Town. Five races would make up the program, which was created by pro football Hall of Famer and West Virginia native Sam Huff after witnessing the Maryland Million the previous year. “The West Virginia Thoroughbred breeding industry has grown tremendously in the last few years as a result of the West Virginia Thoroughbred Development Fund, and we believe the Breeders Classics will contribute greatly to its future growth,” said Huff. Kentucky horseman Lee Eaton pinned a filly by Virginia sire Trimlea as his champion at the Maryland Horse Breeders Association’s annual yearling show. Bred and owned by Virginians Jim and Janet Bonner, the bay filly beat 113 others to take the trophy. 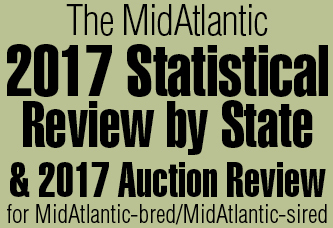 Of the four class winners, the best connected was the winner of the first, for colts and geldings by Maryland sires. The son of Belmont Stakes winner Caveat, bred and owned by Dumbarton Farm, was out of Your My Choice, thus a half-brother to Canadian champions Imperial Choice and Golden Choice. Eaton noted that if he had to single out the one yearling most likely to earn the $13,000 prize as the top money-earning 2-year-old, he would have chosen a chestnut filly, Horatius Honey, a daughter of Horatius who placed fifth in the largest class of the day–60 fillies by Maryland sires. Right sire, wrong filly. Overlooked in the class of 60 was Dark Hollow Farm’s Horatius filly out of Safely Home. Safely Kept came out at 2 and earned $90,436 of her career total $2,194,206, which rewarded David and JoAnn Hayden the $13,000 bonus. Her 2-year-old earnings were slightly higher than those of Northern Wolf (who failed to get a ribbon in the class of eight out-of-state-sired yearlings). Eventual track record-setter, Frank J. De Francis Memorial Dash winner and $461,107-earner Northern Wolf had juvenile earnings of $86,954, barely surpassing Ambitious John (with $85,360), who also failed to get a ribbon, but won the Maryland Juvenile Championship Stakes. Daniel G. Van Clief, owner of Nydrie Stud in Charlottesville, Va., a former director of Laurel Race Course and board member of Fasig-Tipton Company, the National Museum of Racing, Grayson Foundation, Thoroughbred Owners and Breeders Association and Breeders’ Cup Ltd., died June 16 at 62. Van Clief, also a member of the Virginia House of Delegates from 1968 to 1974, owned Nydrie for more than 40 years. His survivors included his son, Daniel G. Van Clief Jr.